The new class that's being added to Darkest Dungeon in the upcoming DLC is the flail-wielding Flagellant. 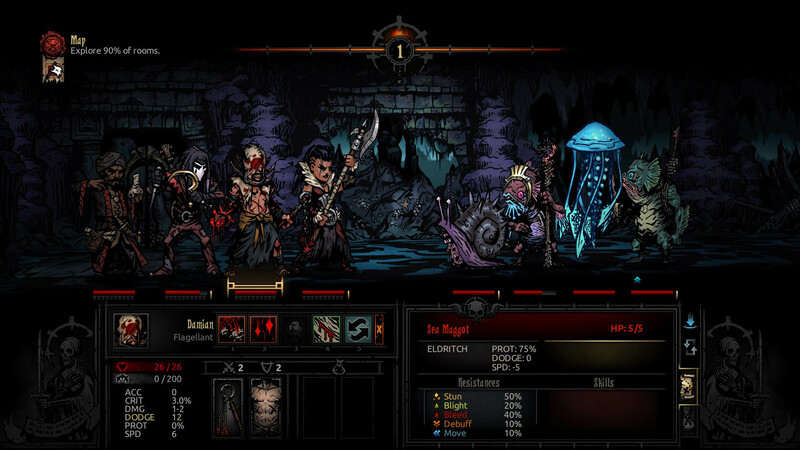 The Crimson Court expansion for Darkest Dungeon is coming in just under two weeks, and Red Hook Studios has revealed the new class that is being added. 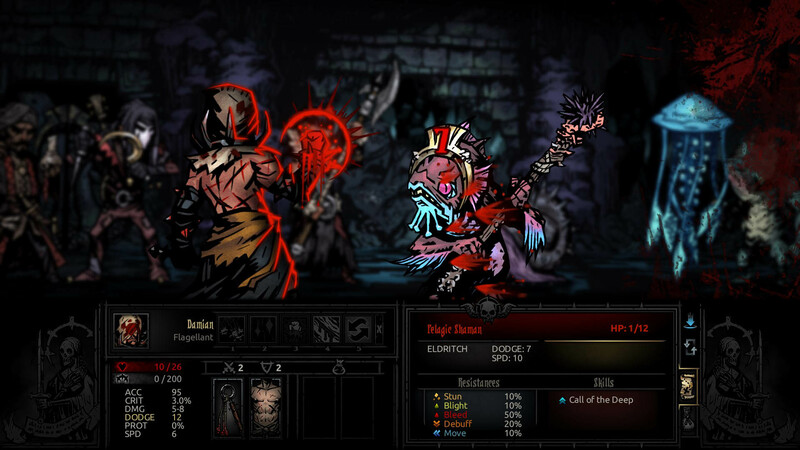 The Flagellant wields a blood-soaked flail, and serves as a high-DPS frontline fighter who can also heal. The Flagellant cannot gain a Virtue, and he can only have a single affliction, called "Rapturous." When he's afflicted, he'll go into a berserk rage and deal damage to both enemies and allies. Red Hook told PC Gamer that The Flagellant is "a rather tough hero to play well," due to his design, which depends on a risk/reward dynamic. 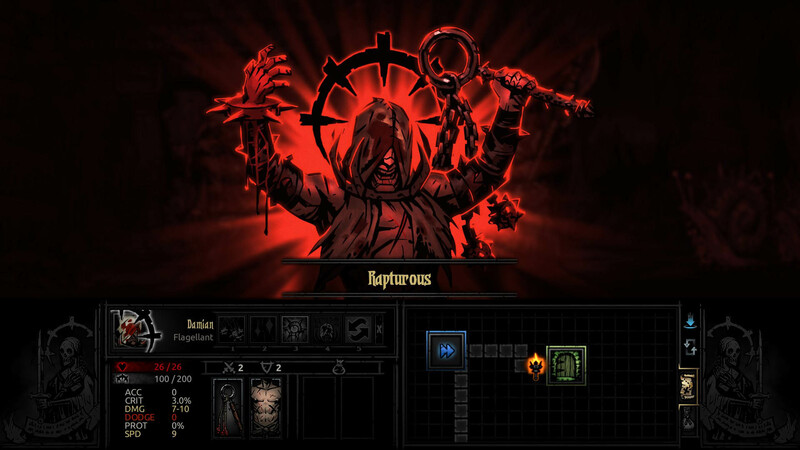 The Flagellant reaches his peak effectiveness when he's badly wounded, and he has additional resistance to Death's Door, which gives him buffs. If he happens to die, he'll be able to unleash a final ability that damages enemies and heals allies. 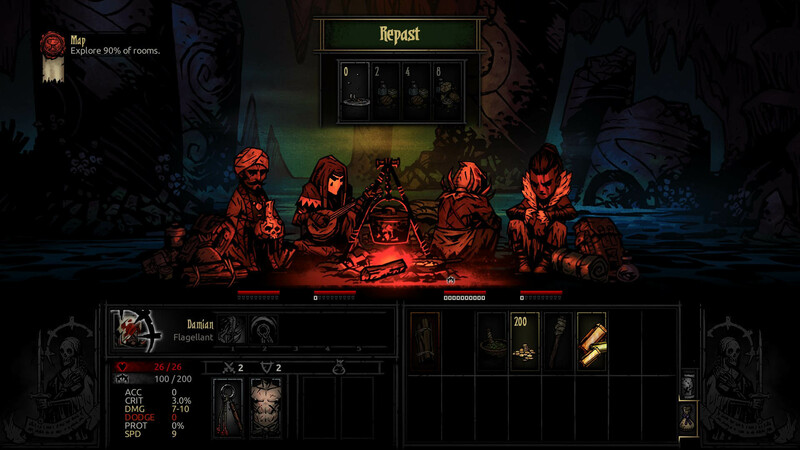 The Flagellant will be included in The Crimson Court expansion, which is coming to PC on June 19, and to PlayStation at some point after that. Here are some screenshots of the new character, courtesy of PC Gamer. That is a really fucked up looking character. I love it. Though it must be pretty awkward if he gets faithless and refuses to flagellate. Goddamn Red Hook, top sticking that vacuum cleaner into my wallet. INB4 every set up that uses a Flagellant results in a total party wipe with it remaining to solo the rest of the dungeon. As RNG is known to do so, especially with how cruel DD is.